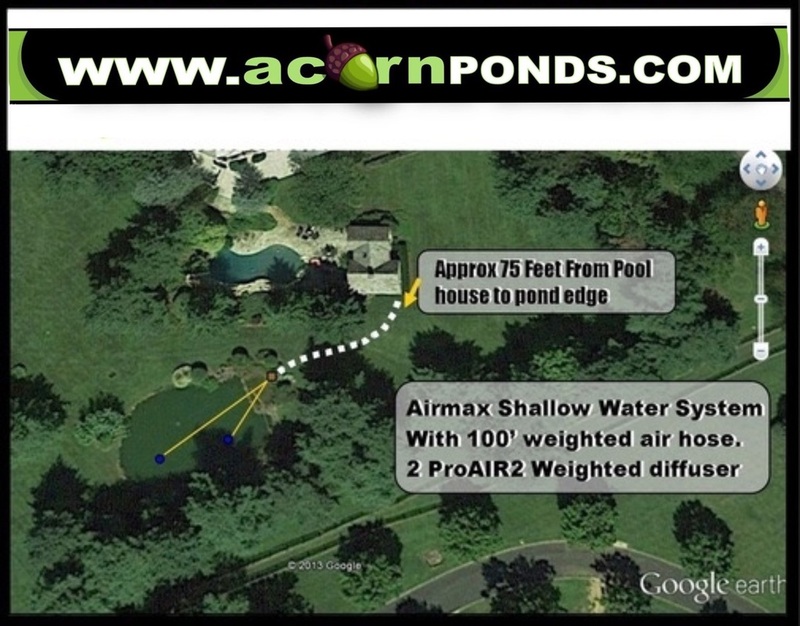 Providing bottom-diffused aeration in larger ponds, Golf Courses and lakes in Monroe County New York (NY) can provide a unique challenge to pond and lake owners. 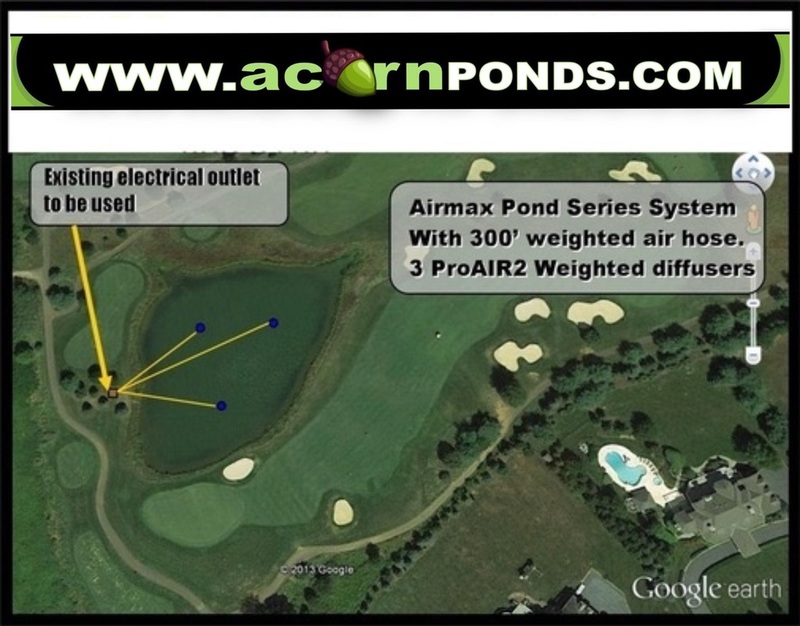 Airmax® Pond Series™ Aeration Systems are powerful enough to aerate ponds up to 4 acres and can be adapted to fit uniquely shaped ponds for maximum aeration. 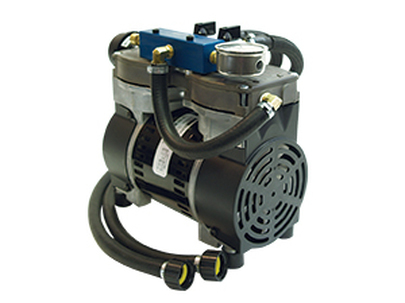 Diverse Pond Series™ Aeration Systems make aeration a breeze. 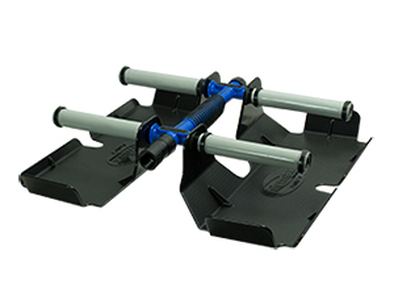 The single plate PS10 system is excellent for small or regularly shaped ponds while the 3 plate PS30 tackles water bodies up to 3 acres or ponds with an irregular shape that require precision plate placement for even circulation. 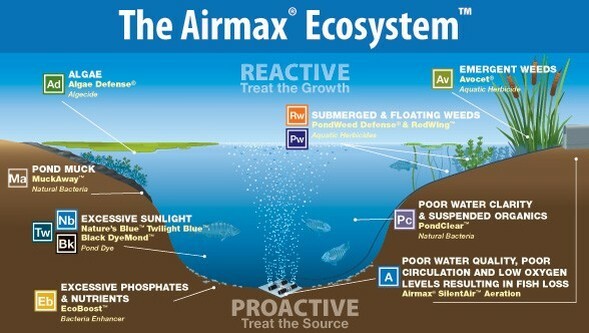 Airmax® Pond Series™ Aeration Systems are manufactured in the USA with high performance, professional quality components. • Self-Weighted: No bricks, weights or ties are needed. This airline is kink-free & fish hook resistant. 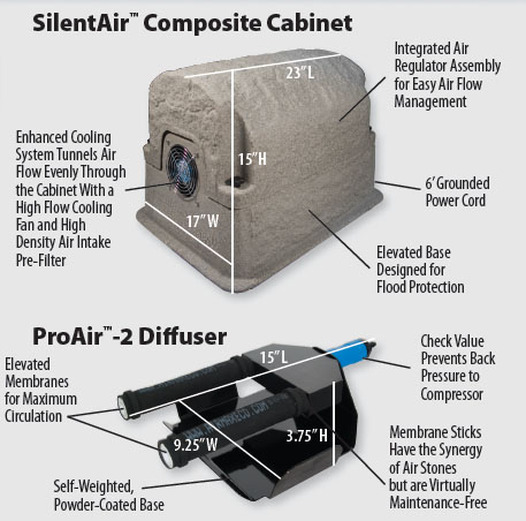 Airmax's attractive composite cabinet houses and protects the SilentAir™ Compressor from outdoor elements. An integrated cooling system utilizes a ventilation fan with rain shroud and high-density air intake pre-filter to distribute air evenly throughout the cabinet keeping the interior components clean, cool and dry. 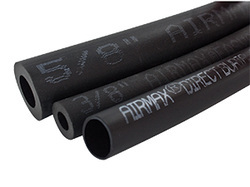 An elevated base protects the aeration hardware and electrical components from flooding and rainwater accumulation while the removable top ensures quick and easy access for inspection and maintenance. 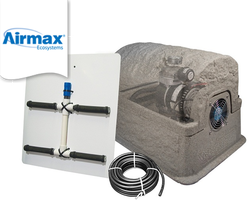 Every Airmax® Composite Cabinet in the Shallow Water Series™ comes complete with a pre-wired electrical box and 6 foot power cord to provide power to the enclosed cooling fan and aeration compressor. The Airmax® Composite Cabinet comes with a lifetime warranty on the cabinet and a 2-year warranty on electrical components. 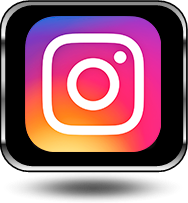 Looking for Backyard Pond Maintenance Services or Landscape Lighting Ideas In Irondequoit, Monroe County NY? 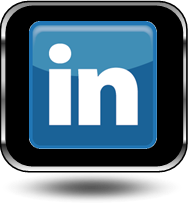 Do you have any Pond related questions in Irondequoit, Monroe County, NY? 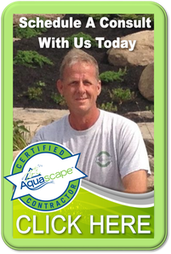 Let us help you with your fish pond in Irondequoit , Monroe County, NY. 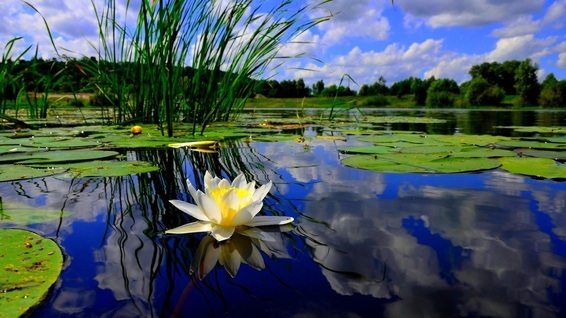 We can help you with your pond maintenance in Irondequoit, Monroe County, NY. 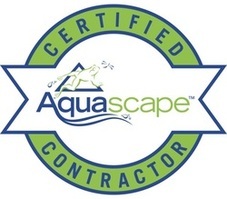 Get Algae Solutions Now in Irondequoit NY.